Do you believe in coincidences? I mostly don’t. I watched a movie long ago, named “The Celestine prophecy”. The main subject was meant to actually destroy the theory of coincidence chain and then shared the idea there is no such a case as coincidence, but everything happens as it’s meant to be, at the right time. In regard to that idea, we just need to observe and to read the signs, given to us. It is what actually happened with my last trip to Rome. A chain of coincidences, all of them meant to please me and to make my journey unforgettable. Being temporary careless, the other word for workless, I accidentally took a decision to fly to Rome for 2-3 days. Choosing the work days (starting from Wednesday), with the presumption Rome won’t be as overcrowded as during the weekend. So I packed, bought the ticket, booked the hotel and made a plan where and what to visit. Why Rome? Simply said, it was the nearest sunny place, cheap and easy to fly to. I was eager to collect some sunny rays as I was not coping well with the frost. The European winter was approaching and the frost was about to swallow us up. I figured out my very best to avoid it for a while. But…back to the coincidences. So, a sudden trip, taken at the last minute, no proper plans. 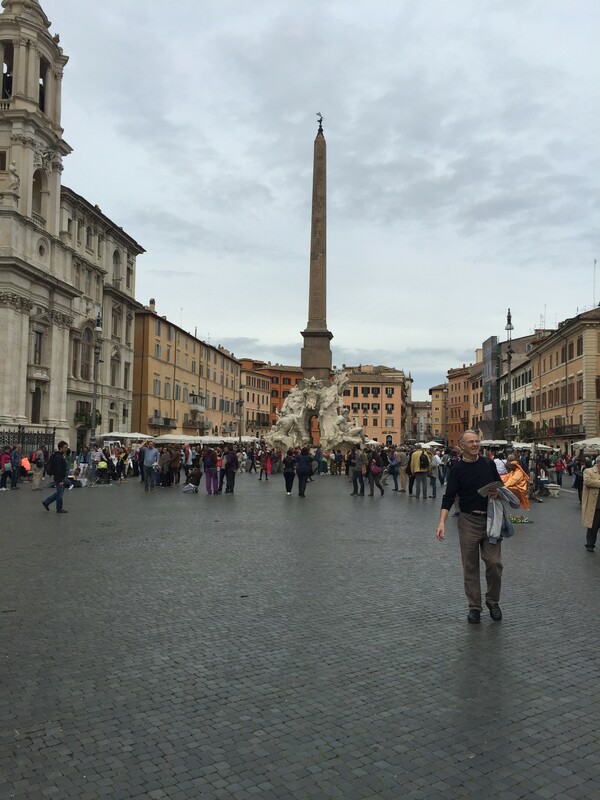 By habit, just the day prior the flight, I posted on Facebook a short info I am traveling to Rome, Italy. You might think: “What a weird habit!”. Not really, if you knew all my family and friends live abroad, all over the world. Facebook is really a useful tool to inform all of them where I am, in case some unexpected circumstances surround my journey and the consequences require their assistance. In case of emergency, they at least would have an idea where to look for me. Briefly, with mom in Greece, brother in Spain, kids in UK, cousins in Switzerland and friends out of Europe, it’s the quickest and the easiest way to spread the travel info amongst. I posted the direction and started making plans how to reach the city of Rome from Fiumicino airport. Being workless, I tried to decrease the travel expenses to the minimum. I built the cheapest plan about transfers, food and extra costs. I had also in mind, I should buy (as usual) at least a pair of shoes in Rome, as I have always done it before (another addiction, I can’t resist to). But don’t rush to blame me! The Italian leather shoes possess unbelievable quality, very elegant and if you are a shoe expert, as I am, you would understand straight away my point. So, for a great shoe fan it was crucial to spend no extra money for stupidities. And then I got a sign. God must be a Roman or must really love me a lot. Just some minutes after my Facebook post, a friend of mine, living time to time in Rome contacted me to ask when exactly I’ll be arriving. After the details, he suggested to fetch me from the airport, also to spend some time and see each other over a cappuccino, because the same day later on he was leaving to Germany in a business trip. Wow… a good company, my favourite cappuccino and a lift to the city…three in one. Thank you, God! The flight was early in the morning, on time. Great sunny weather was expecting for me in Rome, along with my friend at the arrivals terminal. We spent a great time, laughing and spreading news over a cup of real Italian cappuccino. What a great Roman morning! We did a short escape to one of the hills (Rome was built on seven hills), where I was able to see the entire city from a bird’s-eye angle. It’s time for the second coincidence. My dear friend drove me to the hotel. I was not sure how to find it, picking it simply on Booking.com and just knowing it’s somewhere in the downtown. 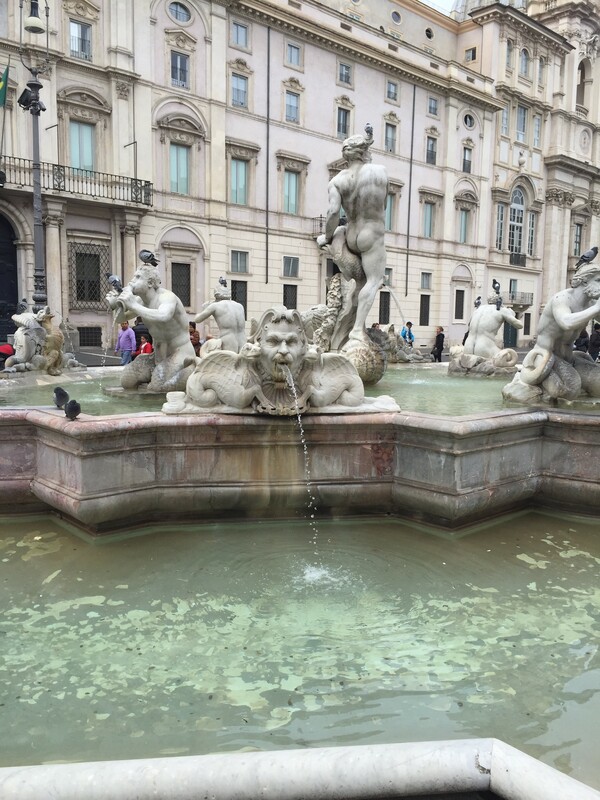 When we reached the hotel, I realised it was located at an amazing place – just between Ponte Sisto (one of the most famous bridges over Tiber river) and piazza Navona, which is the heart of Rome. How I managed to choose that stunning hotel? Thank you God, you guided me in the best way, so I already believe you must be a Roman. In addition – my cozy, quiet, fully equipped room was ready, doesn’t matter I arrived two hours before the check in time. All was just fantastic and the trip already looked promising at the start. My friend left to the airport for his German business trip and now was my time to explore the surroundings. What is supposed to do a restless explorer? The simple decision was to cross over the mentioned above bridge. And then the magic happened. The third coincidence. Having no idea where I am and generally love being lost, I hit the best. 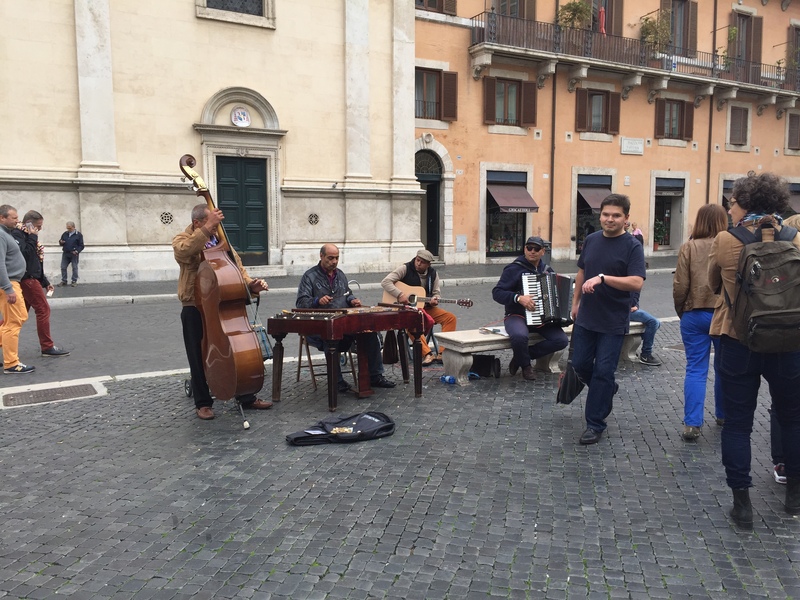 I alighted in Trastevere, a fairytale area, famous with its narrow paved streets and great small restaurants. The time had stopped in here and I somehow popped up back in the beginning of the 20th century, where everything is slower, colourful, calmer and the crowd is somewhere away. All I did was to cross the bridge. I was walking, and walking, and walking, then had a seat in one of the small street pubs, having a glass of wine and a seafood dish (my favourite one). The sunset light was stunning over there. It was impressive to watch how the last sun rays matching and mixing with the lanterns glow around. Probably because of the wine effect, all around was moving in a slow cadence. I was staring at people, their pace, laughter and attitude in the street, like I was a film director. No idea how long time I spent drenched in, but definitely I was not drunk 🙂 I finally went back to the hotel and fell happily asleep. Next day. What a marvellous sunny day! It’s the moment to admit, I adore the hotel buffet breakfasts. The thought I am going to soon enjoy one of them, brought a smile to my face. Did I mention God is a Roman?! Yes, I did. The breakfast was exceptional. I am professionally damaged and usually am searching for some gaps and gaffes with the hotel service. I had nothing bad to say against that breakfast. The variety, the quality and the service were excellent. If I ignore the constantly grumpy faces at the reception ( they never smile and are not very polite), for this hotel the rest I loved. The fourth coincidence was coming up. There was no any available room for Thursday night at the same hotel, so I needed to check out and move to another one. I knew this prior my trip, so I booked a second hotel, before catching my flight. I had no idea where the new hotel is, but on Booking.com it looked as a dream spot. I had some idea the location must be nearby. A very polite email from my new accommodation, named “Spanish suite” informed me, they are about 800 m to 1 km away from piazza Navona. Before checking out my current hotel, I needed to find where the new one is. So went to an investigating mission, walking the streets, regarding the description. 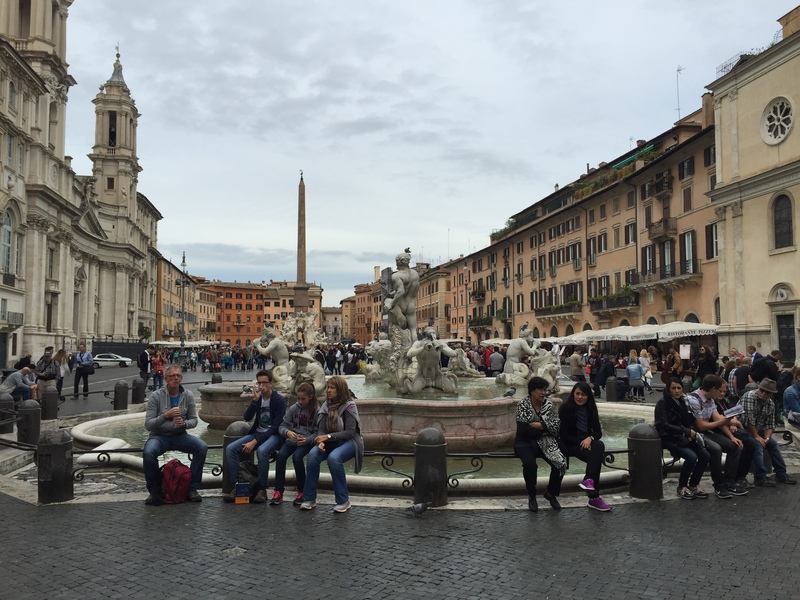 I knew my starting point would be piazza Navona. So I went to, then got the direction to the new hotel, following the map and the description. Guess what, I felt as an idiot when the description led me a few blocks away from my first accommodation. The new one was just 400 m away. Now my dilemma comes – how to find a proper explanation I booked two great places just next to each other? The second one I booked mostly because of its photos. Now you know. It’s the fourth coincidence and God is most definitely a Roman. I was 100% sure of that. I checked out, moved on foot my suitcase 400 m away and got one of the cutest rooms I have ever had. In addition, I received Julia’s (the receptionist) warm welcome, she spoke brilliant English and was very helpful and smiling. My adrenaline was getting up. 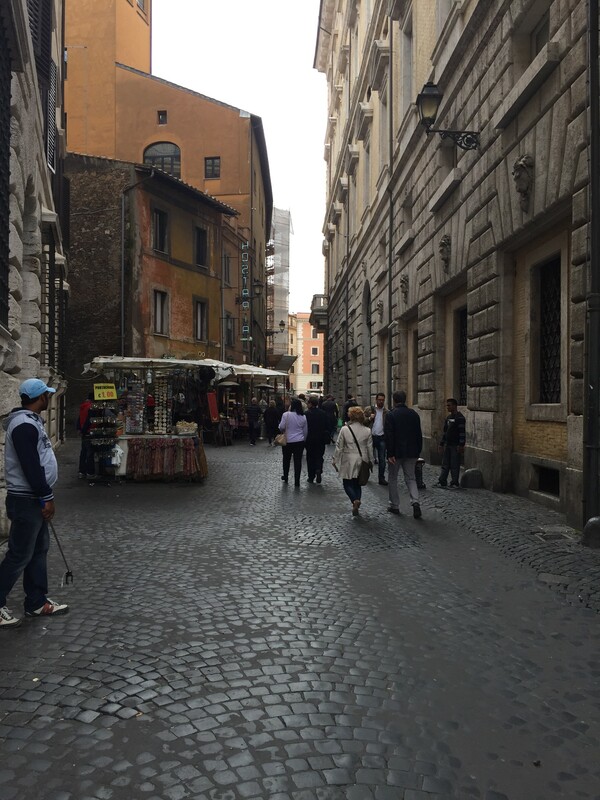 I get accommodated in a dream room in the heart of Rome and ahead was my…shoe shopping. Well…before starting my shopping adventure, I needed to check my email. Oooops….seems like it’s time for the fifth coincidence. Within the last emails, I received one from an HR agency. They found my profile on an online platform, related to the Middle East. My background was matching an available job position. I was invited to register and to apply for that position. OMG. I firstly checked the authenticity of the HR agency. Obviously, it was one of the most popular and reliable in the Middle East. Then I verified the position. It was just a dream job, linked to plenty of potential travels. The requirements were easy to cope with. What I was waiting for?! So I registered, applied for, informed the HR agency all was well completed and thanked for the opportunity. They seemed to be happy I am available and interested in the position. 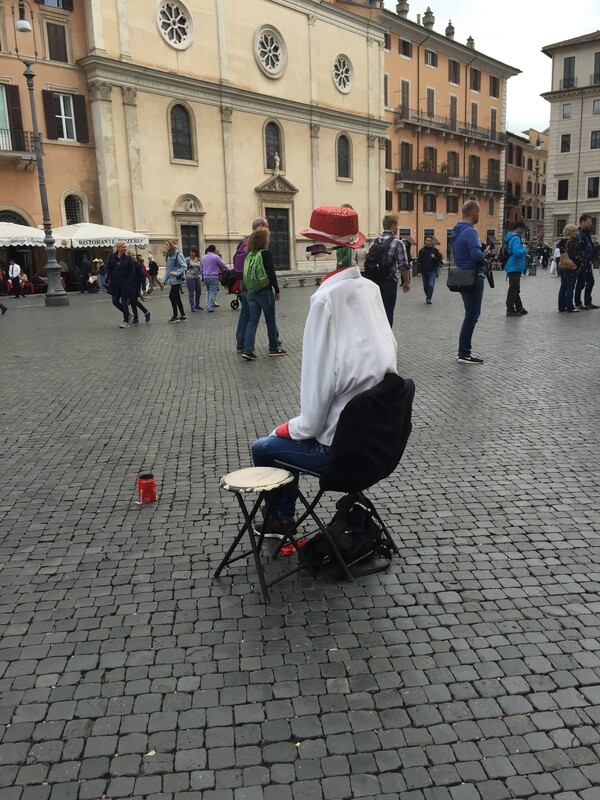 In Rome I was well protected by God, thrilled by the new opportunity, had plenty of sun and enough money to buy shoes. 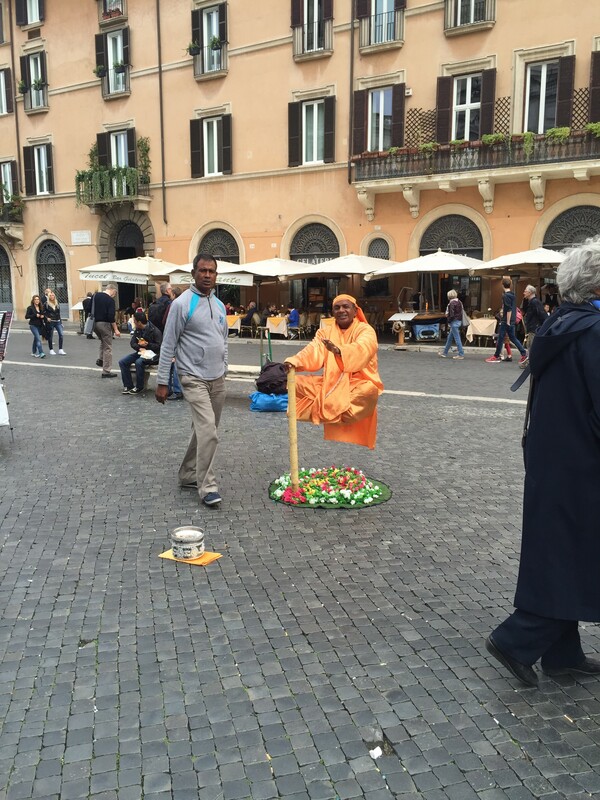 I left the hotel, ready to discover the best of Rome on foot. Three hours later I was completely lost. Thank God (Roman God) I had a map and after a looooong walk, following the online instructions, I found the way back, holding already a bag with two pair of boots and a leather jacket in addition. As you can imagine it, I was very successful and the goal was achieved. And then….the sixth coincidence was knocking on my door. Another Roman friend of mine, who relocated to Brussels, Belgium, saw on Facebook I was in Rome and contacted me. He was coming accidentally home in the evening and suggested to meet for a chat and a snack. I got the best occasion to show up my new boots and leather jacket (don’t blame me, I am just a woman). Simply said, we had a nice chat, tasty dinner, accompanied by a Sardinian red wine. The next day (was it the seventh coincidence?) my friend was not at work and offered to show me around. I got a city tour, an octopus salad for lunch and gelato (ice cream). Later on, I was driven to the airport, where I was meant to catch my next flight to Madrid, Spain. And then, being already at Fiumicino airport, waiting for the flight that takes me out of Italy, I got a real proof God is a Roman. There was an announcement the departure of my flight to Spain delays with about an hour. Seems like my lucky time was over and I was about to face the reality. With no more happy coincidences …or meant to be signs. Grateful for my amazing Roman trip, I humbly got a seat to check the news about Sofia, my hometown. Do you remember I took off early in the morning on Wednesday. To be exact at 7:30 am. I just found out in the news, two hours later was an announcement about a bomb threat at Sofia International Airport. All flights were late, all people were stuck out the airport, waiting for the detailed check up to be completed and the eventual bomb threat alert to be cancelled. But at that time, I have already been up in the air, heading to my fantastic coincidental Roman adventure. How would you call that? A luck or just a ..coincidence? Thanks, your support is much appreciated. Still adjusting but soon will finalise the format and will find my style.